Super Ideal Bakers & Sweets supplies all kind of bakery items and sweets. 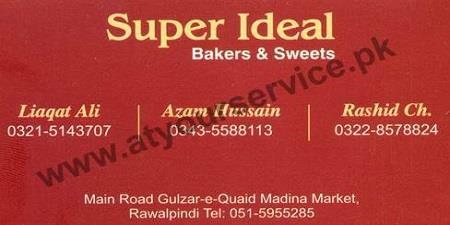 Super Ideal Bakers & Sweets is located in Gulzar e Quaid, Rawalpindi. It supplies all kind of bakery items and sweets.